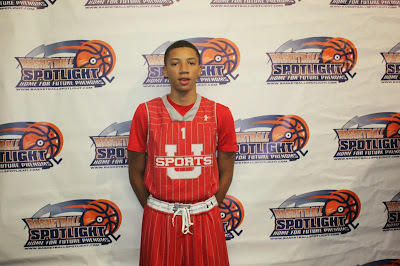 BASKETBALL SPOTLIGHT NEWS: Basketball Spotlight Highlights: Taylor Commands Attention At The Clash! Basketball Spotlight Highlights: Taylor Commands Attention At The Clash! Much has been written about Taylor and his ability to play the point. During the Clash For The Cup he proved he was worth the billing after quarterbacking the “Supreme Team” to the championship. Check out his highlights and remember where you saw it at first. Basketball Spotlight, the nations #1 leader in tournaments and event coverage. Stay tuned as we bring you more highlights and profiles from top players. Next week we will check out how he performed at the MIT.